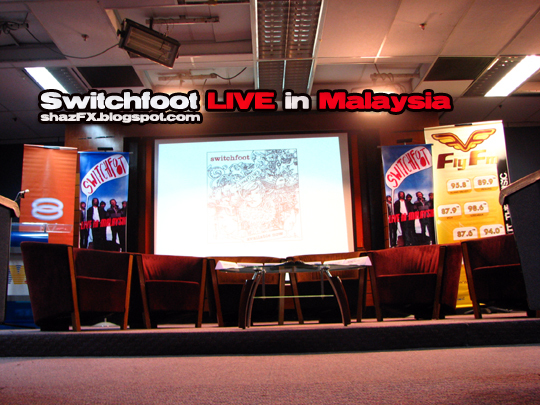 chronicles of a frenchie: switch on with switchfoot!!! PETALING JAYA: They were really hungry, they haven't taken their first meal of the day (now @ 5pm in the evening), they just arrived from a long flight down to KLIA, they touched down and came straight to the press conference... WHO ARE THEY??? 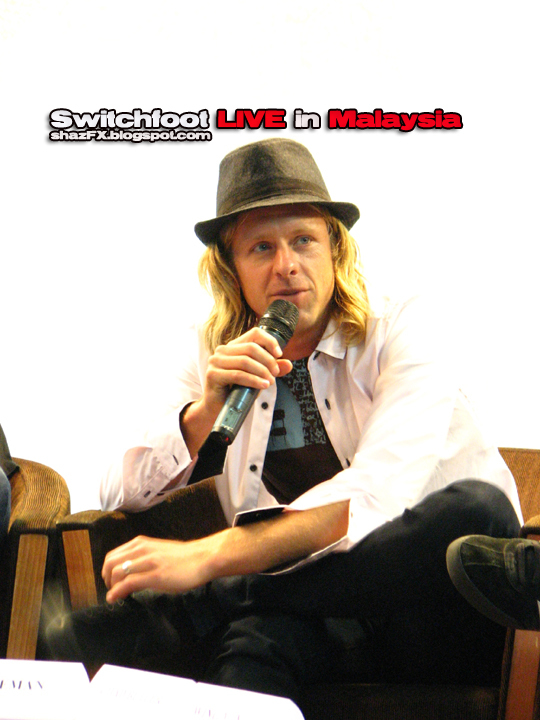 SWITCHFOOT didn't want to make the members of the media wait for them, they sacrificed all of the above for YOU malaysia!!! The Grammy-nominated band has finally arrived at our world class airport and came for a press conference with the members of the media here in Petaling Jaya this late afternoon. 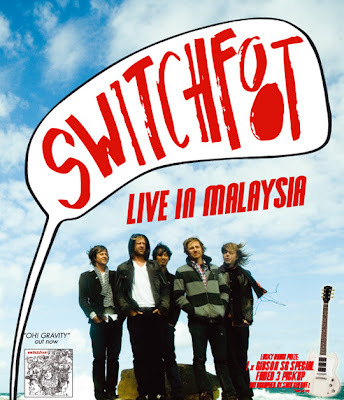 Switchfoot is only here for a one night only performance at KLCC Convention Center, they might be performing their big hits such as "Meant To Live","Dare You To Move","Only Hope" and "You". With their release of their album "Oh! Gravity" and now turned into an "Independent Band"...they are brought down to Kuala Lumpur by OneArmed Productions (which is run by Weng Ming of LoveMeButch). All you Pop-rock fans must not MISS THIS!!! The first event of its kind this year with 2 local bands performing on stage; Altered Frequency and LoveMeButch. Tickets are selling fast... get it today (pre-event sale) for RM120 (excluding RM3 Axcess ticket fee) or tomorrow at the door RM140 (exclusing RM3 Axcess ticket fee). The experience was awesome just now getting to meet witch Switchfoot. 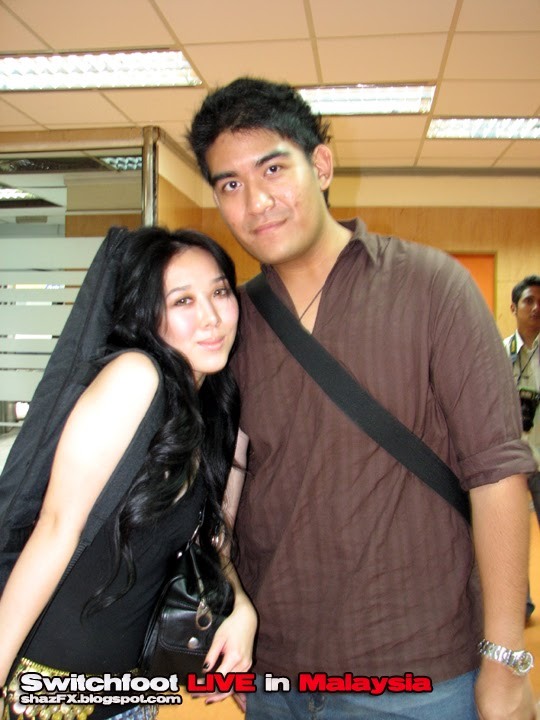 It wasn't my first meet with International bands...(i was at the MTV Asia Awards at Singapore interviewing artists there...that was awesome too), Joshua's second time interviewing international bands (his first was Click 5 if i am not mistaken), it was Jon's first as he was helping me taking some photos so that i can post it up on my show web page. Jack wasn't able to join us as he was a bit busy this afternoon... but oh well all in all it was a great PC. This really reminds me of those days back then when Joshua and Jack was still interning at Xfresh when we used to go to all the PC's together and get a whole lot of FREEBIES!!! Aiyoo...what are we doing here la??? Kay-poh...only! Actually... no la, i was there to get infos for my radio show and pictures to be uploaded to my radio show. Joshua was representing TheSun and Jon helping me taking photos! 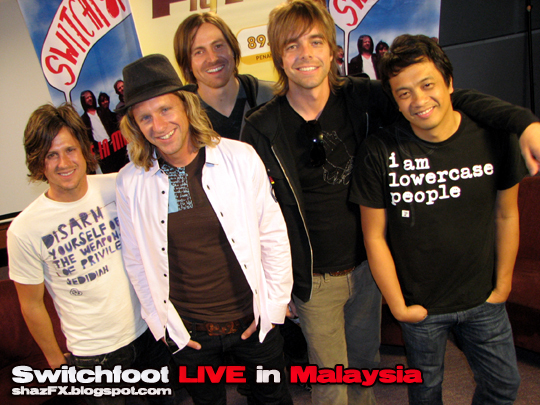 Switchfoot is a bit like chipsmore cookies... sekejap ada, sekejap takder.. mwahah!!! (now you see, now you don't!!!). All the band members together with Weng Ming of LoveMeButch. Malaysian Media has loads of questions to ask... this was by far one of the longest PRESS CONFERENCES i've ever been to (for an international artist). This guy's t-shirt is so cool!!! "i am lowercase people"... HAHAHAHA...!!! Let's go print one of those! 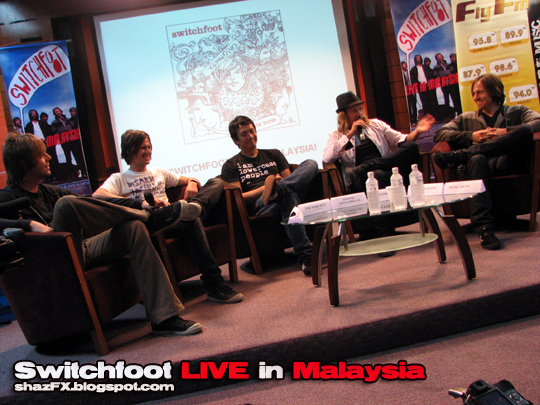 My friend TL (former colleague from 8TV) is now working for Channel V and was interviewing SWITCHFOOT here!!! Cameraman is Ray, nice meeting u man! Switchfoot, although they haven't had their first meal of the day... they still stand up and answered to each questions they were asked of today! Kudos to Switchfoot! 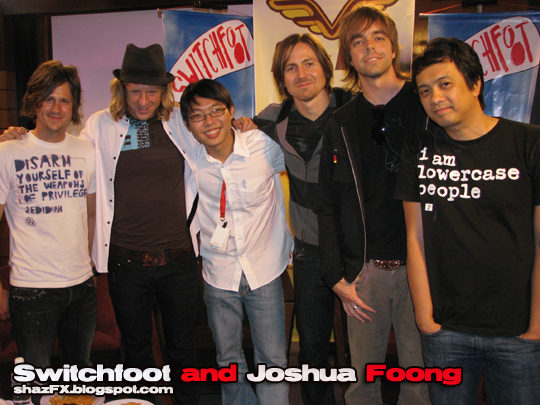 Group photo of Switchfoot with Joshua... aikks! Have to get my photo from Jon!!! 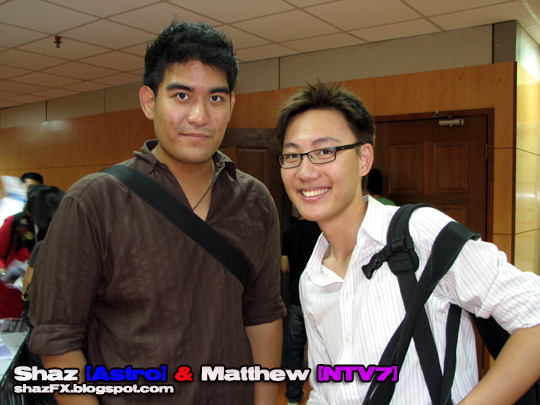 One is from Astro, the other from NTV7 - we met in 2003 back at JW Marriott during a press conference, then he was working for NST's Youthquake. Friendship lasts...thx Matthew! See ya tomorrow. L-R: Ray, Amanda, TL and Me... 3 different companies... 3 different friends - the world is so small, apparently we all know each other! The best thing about working in the media industry. Amanda and Me... one of my closest friends! She's been busy lately... but hey we catch up!!! He is a surfer dude... he rawksss!!! Surf pool at Sunway Lagoon here he comes! 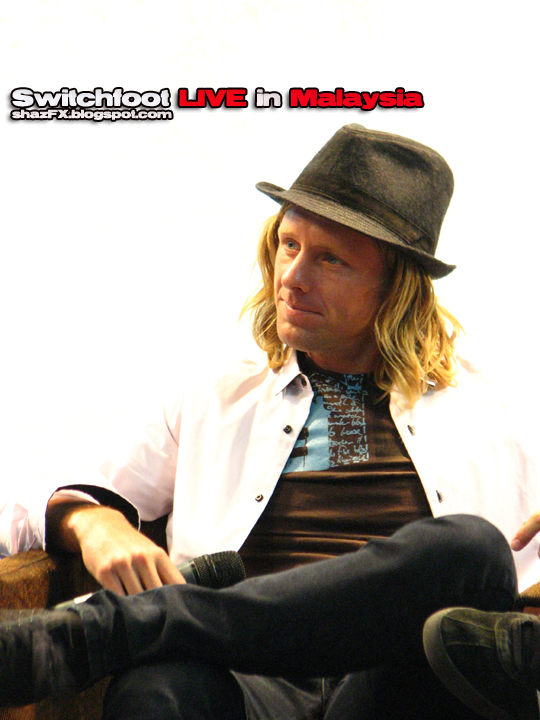 See you all at Switchfoot @ KLCC Convention Center tomorrow! Switchfoot is a Grammy-nominated alternative rock band from San Diego, California, United States. The band members are Jon Foreman (vocals, guitar), Tim Foreman (bass, backing vocals), Chad Butler (drums), Jerome Fontamillas (guitar, keyboard, backing vocals), and Drew Shirley (guitar). Known for their energetic live show, the three guitarists in the line-up often operate simultaneously, building on the pop sensibilities of Jon's songwriting, and, rounded out by Jerome's work on the synthesizer, bringing his industrial roots to the sound, the band works up "the Switchfoot sound"- a melodic crunch of densely layered sound featuring some electronic experimentation, and often driven by hard-charging guitar riffs, while throwing in a few softer, spacey ballads as well. Switchfoot first gained mainstream recognition after the inclusion of four of their songs in the 2002 movie A Walk to Remember . This recognition led to their major label debut, The Beautiful Letdown, which was released in 2003 and sold over 2.6 million copies as well as featuring their best-known singles, "Meant to Live" and "Dare You to Move". 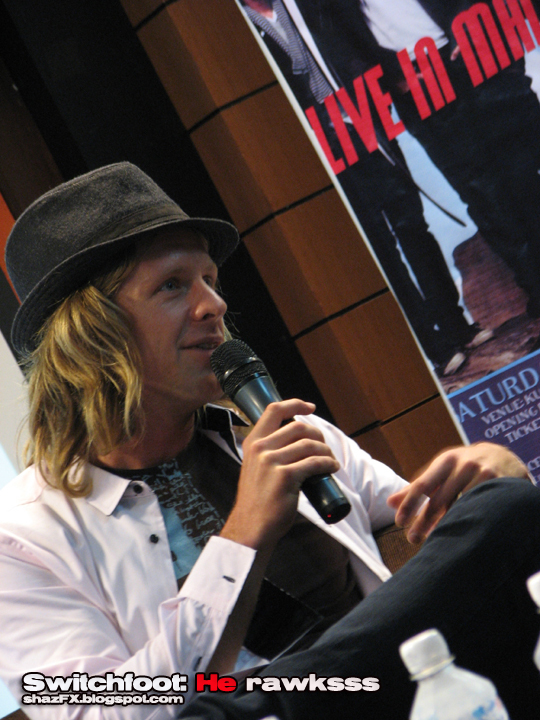 According to Jon Foreman, the name "Switchfoot" is a surfing term. "We all love to surf and have been surfing all our lives so to us, the name made sense. To switch your feet means to take a new stance facing the opposite direction. It's about change and movement, a different way of approaching life and music". Switchfoot was founded in 1996 as "Chin Up", consisting of Jon and his brother Tim, along with Chad on the drums. 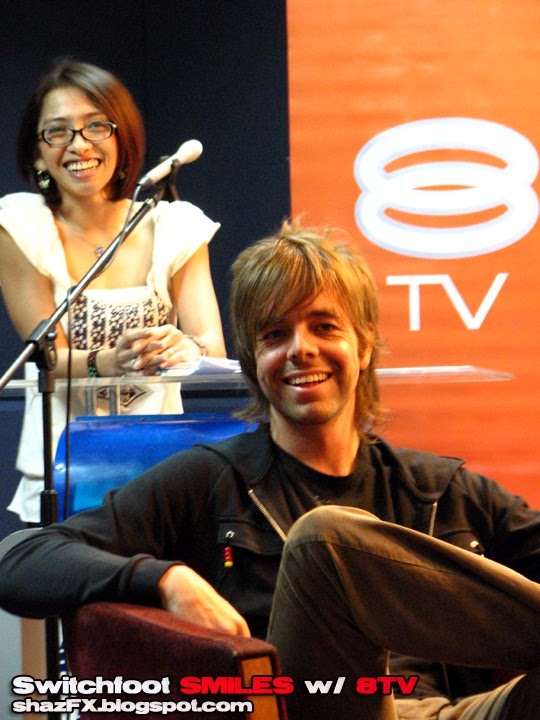 After playing only a few shows, in 1997, the band was contacted by Charlie Peacock, and signed to his re:think Records, a division of Sparrow Records, under the current moniker "Switchfoot". Re: think would distribute their first three albums, The Legend of Chin, New Way to Be Human and Learning to Breathe. 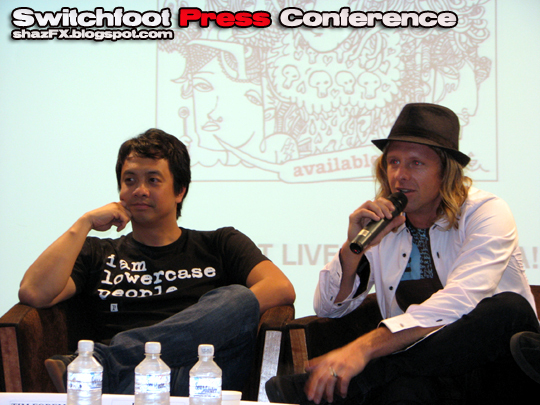 Of Switchfoot's first three albums Learning to Breathe was the most successful. The album was certified gold by the RIAA , and received a Grammy nomination for Best Rock Gospel Album. In 2002 Switchfoot had a large role in the music for the movie A Walk to Remember. Singer and actress Mandy Moore, who starred in the movie, sang Switchfoot's song "Only Hope" during a scene in the movie. The movie's soundtrack also featured a duet with Mandy Moore and Jon Foreman, and as many as four other Switchfoot songs, in addition to Mandy Moore's cover of "Only Hope". In 2004, following the commercial success of The Beautiful Letdown, the band released The Early Years: 1997-2000 3 CD Set:The Legend of Chin • New Way to be Human • Learning to Breathe, a collection of the albums released under rethink records which included the original artwork for all the albums. They will play for the very first time in Malaysia on 2nd Feb 2008 at Kuala Lumpur Convention Centre. Hey, saw you taking pictures at the concert! sigh really should have majored in journalism. then can join you, joshua and matthew. bleh. saw you at the concert last night, but didn't get to say hi cuz you were so busy taking pics. BLEH. it was great though. switchfoot are fab entertainers. I got a new blog header!! !